Learning white magic is available to a person who feels connected to the higher forces and has good intuition. In this case, it is possible to develop your abilities, awakening a hidden talent. In the study of such areas as white magic, you need to determine what area seems most interesting. It is best to train under the guidance of an experienced magician and to start the development of such qualities as imagination, concentration and the ability to replenish energy resources. Learning magic is subject only to those people who are able to focus all their attention and strength on a specific object or desire. Achieved considerable success in this area, the novice magician is capable of merging consciousness with the object and to be able to manage them as well as their own bodies. The exercise on the concentration seems simple. Enough to look carefully at some object or to concentrate on one thought for several minutes. In fact, the task seems very difficult. No sounds, conversations, thoughts should not interfere with concentration. White magic requires a certain amount of internal energy, which periodically must be replenished to maintain your health and consciousness in a satisfactory condition. Dark mages use the energy of animals and people nearby. The white mage draws power from the outside, without causing harm to a living organism. Learning to focus, the mage can sense a special place, endowed with powerful energy. As a rule, the point of force are far from the big cities, in forests, in the territories of temples. However, in the city limits is possible with proper focus to find a source of energy. Finding the point of force, it should be possible to relax and imagine how the flow of energy fill the mind and physical body. By the way, in order to preserve the energy within yourself, it is recommended to sleep a lot because during sleep there is a restoration of energy expended. After completing the initial learning magic and reaching success, the mage can create a place of power in your home. White magic for beginners is based on the development of imagination as an indispensable quality of any magician. There are special exercises allowing you to quickly gain the ability to "invent the situation." You need to try to feel like a different person, a plant or an animal, a cloud, a stream. It is recommended to merge consciousness with passers-by or met a cat, sitting on the porch and try to imagine his thoughts, feelings, desires. Of course, to develop the fantasy to be with more simple tasks. For example, seeing quarreling lovers, to imagine what the cause of the conflict, as events unfolded. Only by learning to manage your consciousness with imagination and focused attention, people can learn a magical practice and unleash their talent. Many people think that magic will solve many different problems. All you need to buy books in the spirit of "earth Magic for dummies" or become one of us on the magic online forums. But beginners are not aware that there are people who by their destinies are contraindicated magic. It is because they are too obsessed with their own desires, can't control anger or refuse to understand that intervention in the lives of others assumes responsibility for his actions. 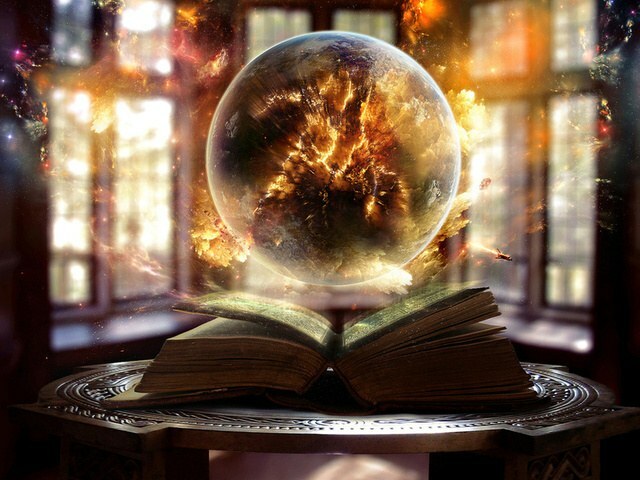 Under the magic of ordinary people often understand "all these interesting things of type of card divination or lucid dreaming, or in the crystal ball to see the future". Really magic, if you give the most General definition, is the attempt of a helpless man to make the world more manageable. We can say that it is an ancient form of religiosity, or the amazing development of skills or the comprehension of the mysteries of nature. Definitions a lot. But magical thinking in the first place, natural for a child. From folklorists and anthropologists have even such a area of interest, as children's magic, which involves a challenge to Queen of spades or bead amulets that protect from bad marks. Magic is a very vague concept. And before you dive into this amazing and dangerous world, we need to clearly answer the question of what is needed: to treat people, to see the future or travel in your dreams. People come to magic, having experienced a mystical experience. It can be positive or negative. A positive associated with feelings of enlightenment, purification, unexpected joy and special comfort: "I'm in his place and know where to go." It is similar to poetic inspiration or love. Negative experiences can be associated with a situation where life hung in the balance and for survival had to devote considerable emotional and mental effort. It can be clinical death, the crime situation, a powerful domestic drama. In any case, this experience causes a person to break with his usual social circle and to reach out to people who are able to understand his feelings. Modern theories of magic there are three types. The first is based on the personal power of man. He increases and brings with him to the next incarnation. This man, a mercenary who realizes that he retired to come from nowhere and can kill at any time. The second type implies that a person assigns themselves a kind of force that directs his path. For example, this is the magic of Reiki. Roughly speaking, it's like that to join a public organization. She will protect and help, and then asked to repay the debt. For example, offer to pass out flyers to invite new members. The third kind is the magic tools and operations that force an invisible entity to help the magician. Ceremonial magic involves rigid self-discipline and strong intellectual abilities, because you will have to cast spells in different languages, to read the writings on the history of the issue and to keep in memory the set of all abstract things. The dedication and training of the novice experienced master is very important. Prodigy is able to fall under the power of your unconscious, to get involved in a state of altered consciousness and to completely depart from reality. But at the same time, any beginner can become a victim pseudogene. People who have magic, even if they are charlatans, pretending to be wizards, as a rule, possess the skills of hypnosis, the trance, are able to convince. And intentions are far from spiritual. Perhaps before you'll be tempted to go on a seminar for the opening of the third eye, the newcomer should talk to a competent psychologist or employee of the Department of anthropology or folklore. Scientists will be able to choose the proper literature, for example, will introduce the classic work on magic - the twelve volume study of the Fraser "the Golden bough". Or tell me about what "new Age" and why the magic schools is actually a cover for other, more pragmatic organizations. If the mentor believes that to improve the magic skills the student needs to sign over his apartment and tell the pin code of a Bank card, it's time to go to the nearest police station. Astral patrol will repel from a teacher of the spirit of greed, and the shaman from the Prosecutor's office will carry out divination under the criminal code, which will appease even the most vigilant guardians of karma. Many psychologists spetsializiruyutsya on the people of the magical, mystical warehouse. 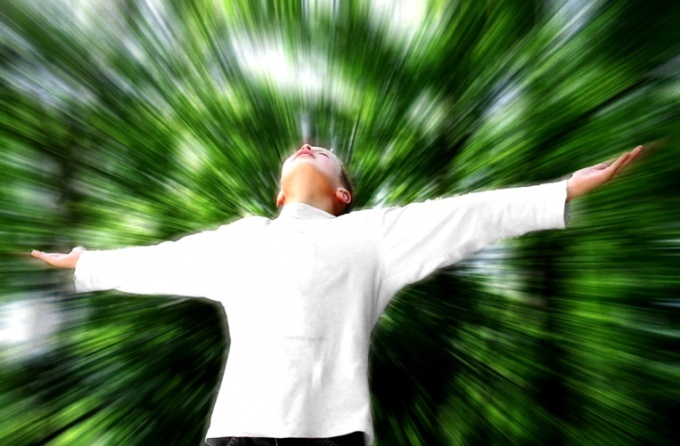 One with the help of special exercises help to develop your intuition and creativity. Others warn against reckless step. To learn about a health care practitioner can not only reference service but also in the Department of psychology at the universities of the city. Many people dream to have super powers. In their fantasies they tame the elements, heal the terminally ill, and inflict terrible curses and heat the soup without using a microwave oven. But the dream, as we know, not harmful. Harmful to do nothing in order to make their dreams come true. In order to do great things, resembling in this the Aleister Crowley, Hermes Trismegist, Helena Blavatsky and Harry Potter, you should get magical powers. Where to get it? There are several options. The surest way to gain magical power is to inherit it. Find out is not usual for someone of your relatives, relatives or acquaintances something strange. For example, habits to successfully treat terminally ill patients, and bewitch the guys for girls to shoot to cause damage or fly in a mortar on Bald Mountain.If a person with magical powers is found – try to persuade her to give you a Gift. As a rule, the magical gift is only after the death of the previous owner. So, you may have to wait. It is believed that any person has the ability to magic. The main thing – to find a good teacher or develop your own gift. To find a teacher is not easy, or rather, impossible. If you are really talented and really need to develop a magical gift – the teacher will find you himself. And not the fact that it will be a white-haired old man, easily materialisme fireball and dispersing clouds with a wave of his hand.You can try to develop your gift to yourself. It will have a lot to read, lot to do, learn to stop the internal dialogue, to own emotions, concentration and the kinds of weird things. Take yoga classes. Moreover, the appearance does not really matter. Dedicate to practice at least one hour a day (more is better). Meditate as often as possible. After a few years of practice will begin to manifest siddhis – supernatural powers. You will be able to work miracles attributed to mages. However, if you get in their development to a level at which there are Siddhas – all these earthly things like thunder and lightning on the heads of the offenders, the charms and the dispersal of the clouds you are unlikely to be interesting.